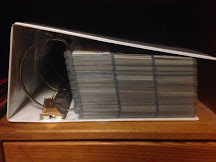 Stealing Home recently announced his third annual, holiday Operation PWE - where in the proprietor of All Trade Bait All the Time does his best Santa Claus impression and gifts the blogosphere with random envelopes of cardboard goodies. Good bloggers get cool cards, bad bloggers get a brick of '90 Donruss... or so I assume. I was very much honored to find my zip code on his list (which I assume he checked twice) and I sat by the mailbox, with a plate of cookies and a glass of milk, as I awaited my generous gift. As it turns out, Stealing Home uses the postal service instead of flying around in a sleigh pulled by a luminescent reindeer; however, I think the mail carrier quite enjoyed the Chips Ahoy. 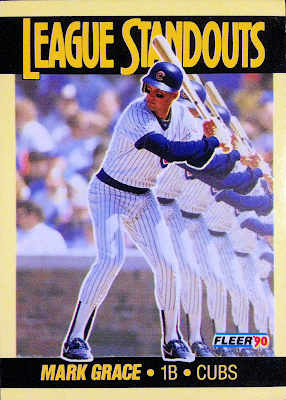 Upon ripping into my early Christmas present, I couldn't help but notice how appropriate it was that such a standout guy would include this "League Standout" Mark Grace in the envelope. A quirky Gracie that I didn't already have? We're off to a heckuva start! Keeping the momentum going, the next card to fall out of the card-carrying vessel was this "Changing of the Guard" insert from this year's edition of Topps Flagship. 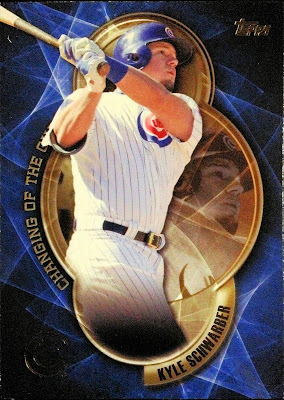 Base cards of Schwarbs, which were already up-charged, have gone through the roof in Chicago since the Cubs pulled it off, let alone inserts. So, any time I get a card of this comeback kid in a trade package, I do a little happy dance. Also, am I the only one who thinks that the "frame" on the photos in this insert set look a little bit like brass knuckles? Please tell me if I'm crazy. 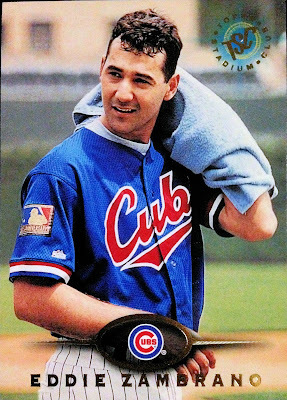 A smattering of 1995 Stadium Club was also found within this gift which kept on giving, including short-term Cub Eddie Zambrano, toweling off after a tough day playing for Team Cuba... wait, I'm being told that that is in fact the alternate jersey the Cubs took the field in during the mid-90's. I'll never understand how the powers-that-be didn't notice the resemblance at the time. 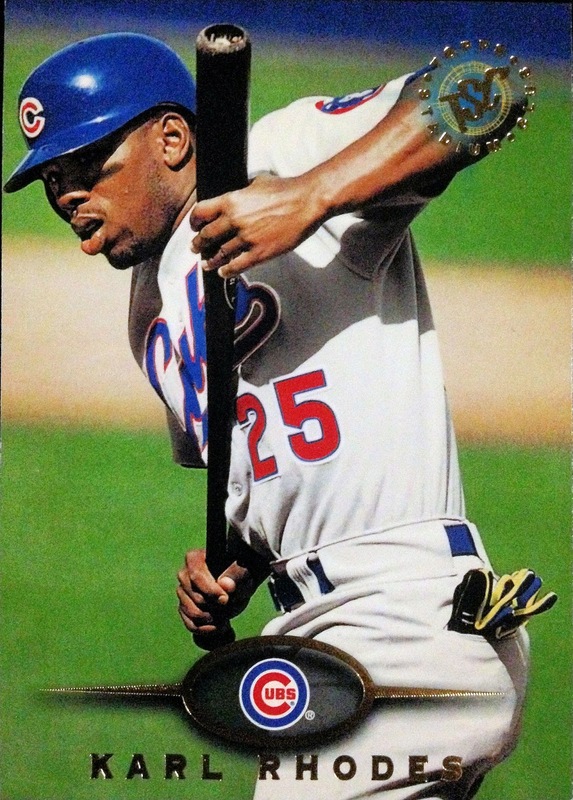 Accompanying Eddie, we have "Tuffy" Rhodes pulling back an attempted bunt and looking awfully surprised about it. Rhodes, of course, sealed his spot in Cubs lore with three Opening Day bombs off of Doc Gooden in 1994, before going off to Japan and becoming a legendary slugger. A good amount of NASCAR cardboard were also discovered within. I don't know Stealing Home to be a NASCAR fan (correct me if I'm wrong), so this was definitely unexpected! This photo finish was one of the most exciting events I've ever witnessed in sports - what a race! Thank you for the trip down memory lane, Stealing Home. It's hard for me to believe that this was 13 years ago. 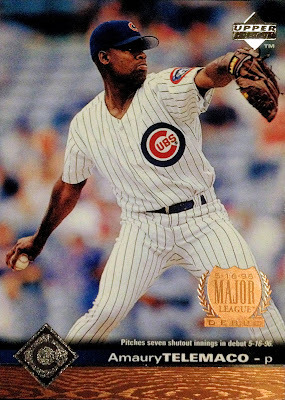 With that, we've reached the end of Stealing Home's overly-generous Operation PWE gift. I'd say, without a shadow of a doubt, that this operation was an overwhelming success. Thank you ever so much for thinking of me and for the awesome cardboard. I'll make sure to return the favor in the near future. Like I said, this Dodger collector and blogger is definitely a standout guy! 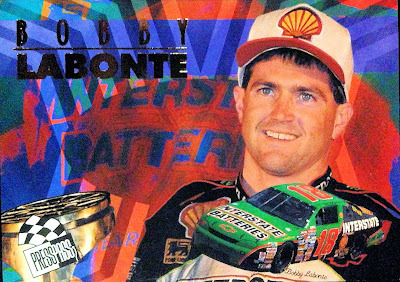 The Bobby Labonte is not an insert...it's a promo! That card was only available at the National convention in 1996. It is available in three foil colors, gold, red and green. I only have one in my collection, I think the red but it might be the gold, I have not seen it in a while. Billy called it, that Labonte is a promo I got when I attended the National way back when. I wouldn't say I'm a Nascar fan, but I've been to a few races, and I definitely love being there in person. That NASCAR cardboard has been sitting in a box, waiting for the right moment and collector. I'm glad you like the cards, T. Aloha! 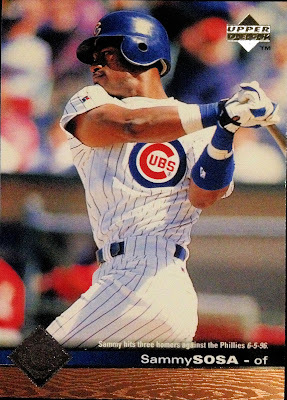 I certainly hope I didn't get a brick of 1990 Donruss in the envelopes I got. Regardless, that a pretty nice lot there and even though I don't really collect NASCAR, I would go for that Labonte card in a minute for my miscellaneous collection. 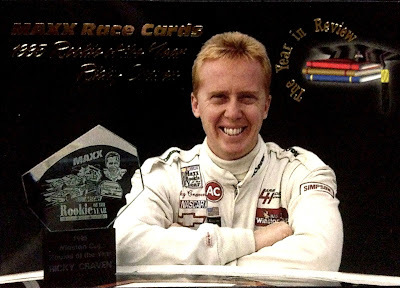 I didn't realize that Craven only won two races since he had been around for so long. That Darlington finish certainly was a classic.